Aussie Senator, Chris Back, Demands Moratorium on New Wind Farms…. The first 200 pages are filled with facts, clarity, common sense and compassion; the balance, labelled “Labor’s dissenting report”, was written by the wind industry’s parasites and spruikers – including the Clean Energy Council (these days a front for Infigen aka Babcock & Brown); theAustralian Wind Alliance; and Leigh Ewbank from the Enemies of the Earth. One of the hard-working Senators on the Inquiry was Chris Back – a Liberal from WA – the ‘Liberals’ are meant to be Australia’s free-market Conservatives. True to his colours, Chris is still in there fighting for a ‘fair go’ for rural communities and Australian power consumers, everywhere. But it’s not just the lunatic left that Chris is up against. He faces dogged efforts to kill off the Senate’s recommendations by Patrick Gibbons – the wind industry’s ‘Mr Fix It’; who ‘controls’ traffic in order to protect his wind industry mates, from within the (notionally) ‘Liberal’ Environment Minister, young Gregory Hunt’s office. Notwithstanding rats in his own ranks, Chris Back is determined to see the benefits of 6 months of hard work get delivered. Here’s a taste of what Chris is all about. In November 2014, I sponsored the motion in the Senate to establish the Senate Select Committee on Wind Turbines. The Committee concluded its Inquiry and reported to the Senate on 3 August 2015, making a number of important recommendations. The government has committed to responding actively and in good faith to the findings. The government sets up an Independent Expert Scientific Committee on Industrial Sound (IESC). This is in response to the large number of reports of ill-health from witnesses living near turbines. A pilot acoustic study of the low frequency sound and infrasound produced by large industrial turbines has indicated that there is a link between sound and sensations damaging to human health. This recommendation has been accepted by the Minister for the Environment, Greg Hunt. I have made recommendations to the Minister regarding membership of the Committee. The IESC develop a single national acoustic standard for the operation of wind turbines and reports to the relevant Health, Environment and Planning Ministers. The IESC forms National Wind Farm Guidelines. The government establish a National Wind Farm Ombudsman in response to community complaints. Minister Hunt has recently begun the process of establishing a Wind Farm Commissioner. I have recommended Terms of Reference to the Minister. Eligibility to receive Renewable Energy Certificates (RECs) will be made subject to compliance with the national acoustic standard and the wind farm guidelines. The Australian National Audit Office (ANAO) conduct a performance audit of the Clean Energy Regulator’s (CER) compliance with its role under the legislation. The Government directs the Productivity Commission to conduct research into the impact of electricity generated by wind turbines on retail electricity prices. All State Governments consider shifting responsibility for monitoring wind farms away from local councils to the State Environmental Protection Authority and failing that, a national regulatory body be established. That all new wind farms will be eligible to receive RECs for a period of no more than five years (under current legislation they would be receiving subsidy until 2030). In the absence of a known safe distance between wind turbines and occupied residences, the government must adopt a precautionary approach to protect people. 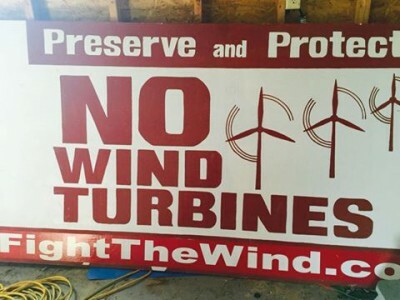 The best precautionary approach is a moratorium on new wind farms. In an industry that has operated with little regulation to date, strict regulation of noise compliance is necessary to protect people living in proximity to wind turbines. Wind turbines are not reducing emissions in the electricity sector by the same amount that the industry is claiming and being subsidised. The federally issued subsidy to wind farms (RECs) are paid for in the retail price of electricity which is paid by families, schools and hospitals. The retail price is set by power purchase agreements (PPAs) and amounts to billions every year. The subsidy issued to wind farms amounts to half a million dollars per turbine per year. The new Renewable Energy Target (RET) of 33,000 GWh will require upwards of 2,500 new wind turbines to be built in rural areas across Australia. Rural communities are caught unaware when they are canvassed to sign ‘Landholder Agreements’ and ‘Neighbour Benefit Schemes’ which sign away their personal and property rights. Labor is vehemently in denial of the current issues, taking a completely unaffordable 50% RET to the next election. Furthermore, in their dissenting report, Labor refused to accept the evidence pointing to adverse health effects of industrial wind turbines. The Greens refused to participate in the Inquiry at all. I appreciate the support and interest by many State Councillors, especially Robyn Nolan, on this long term challenge. Australia, Events- upcoming!, Faux-green, fighting wind turbines, Health, Noise & Infrasound, not financially feasible, Return to sanity! Aussies Ax, Corruption among Windies!, Doctors stick up for wind victims!, Dysfunctional wind turbines!